If you’re anything like me, you’ll do almost anything to stop your hair loss… and sometimes this can involve trying unusual supplements, herbs or spices. Cayenne pepper has been rumoured to help with hair loss – But is there any scientific truth to these rumours? In this article I’ll review all of the scientific evidence related to cayenne pepper for hair loss. I’ll share my own experiences and show you how you can add cayenne pepper to your diet in a way that can possibly stimulate hair growth. Cayenne pepper has long been used to combat hair loss in various forms. The plant was originally used as a spice in Central and South America in the 15th century, and it later spread to southeastern Asia, Europe, and North America. It was also used for medical purposes in many different cultures around the world, and many people today still rely on it to treat certain medical conditions. It was first used in modern Western medicine by Samuel Thompson in the 1800s. In recent years, many people have started using cayenne pepper to combat hair loss, and scientists and medical researchers are just now starting to study this unique treatment in-depth. 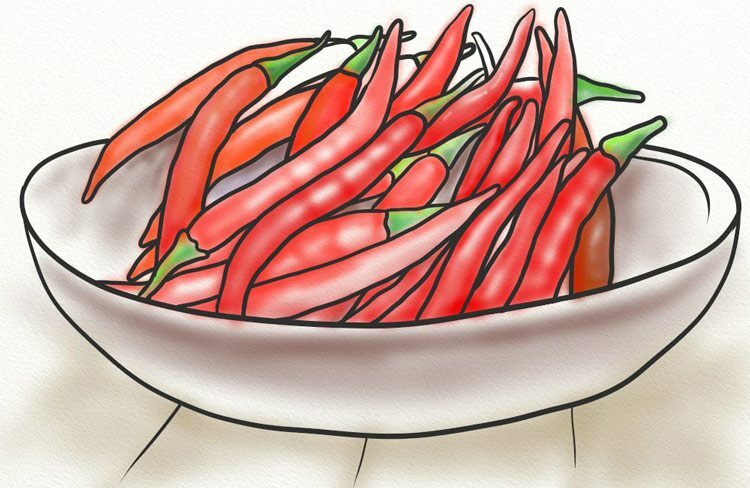 Cayenne pepper is a member of a scientific group of sweet and chili peppers. Its scientific name is Capiscum annuum Cayenne. It is considered to be a good source of Vitamin A, and also contains some potassium and fiber. Cayenne pepper is mainly considered to be a spice, and is used around the world in dried form, either as a powder or as flakes. It is known for its uniquely spicy taste, and is often used as an ingredient in many hot sauces as well. Many people have previously discussed cayenne pepper’s many benefits for your overall health as well. Doctors and natural health experts often recommend cayenne pepper for a variety of health issues, including digestive problems, cold and flu, joint pains, and heart problems. Because it has been found to stimulate so many of the body’s healing functions, it has been used for thousands of years to treat things like open wounds and sores. This interest in cayenne pepper among the health community lead to curiosity about whether or not it would work to help treat hair loss. While many people have been recommending cayenne pepper for a host of other health problems for years, it is only recently that people have been testing it out as a hair growth method. Studies have been done recently that indicate that cayenne pepper does, in fact, stimulate the hair follicles to help with hair growth. How does this work? Cayenne pepper contains a natural cannabinoid blocker – in fact, it is one of the only known natural elements that contains this blocker, also known as CB1. The endocannabinoid system is a group of receptors within the body that manage a variety of the body’s natural processes, including appetite, pain, and many other factors, which is why cayenne pepper is so good for the body overall. But recently, scientists have noticed that the endocannabinoid system also has an effect on hair loss. When this group of receptors receives cannabinoids, which can come from a variety of different sources (including marijuana, but also many other plants, medicines, and chemical compounds that we may ingest), these receptors can stop hair growth. This has found to be especially true when the body is in periods of high stress. Because of cayenne pepper blocks cannabinoids and prevents them from reaching these receptors, it can prevent and combat hair loss. Cayenne pepper can be especially helpful if you know you have been losing hair due to stress. Since cannabinoids are found in marijuana, it is especially important to stay away from any products that contain THC if you are concerned about hair loss. 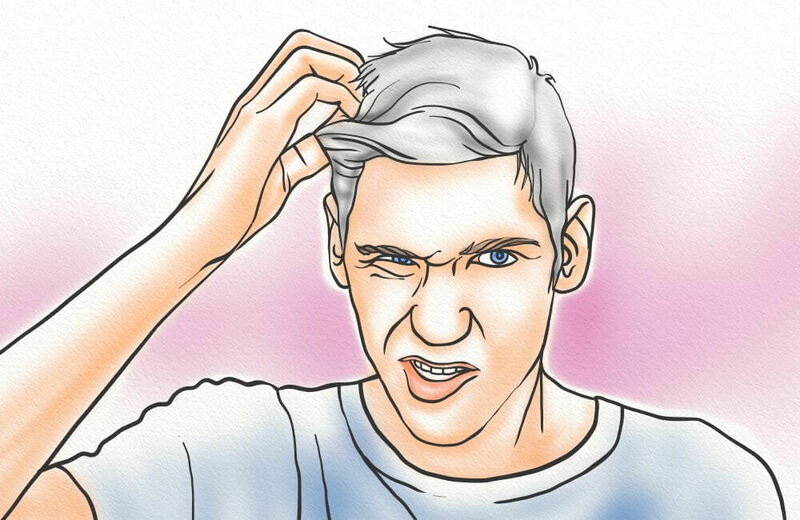 Learn more about marijuana related hair loss here. As mentioned previously, cayenne pepper also contains capsaicin. Capsaicin creams and supplements are actually prescribed by many doctors and herbal experts to combat various forms of pain. Capsaicin first stimulates the skin and pain receptors, which is why many chili powders are somewhat painful or irritating if applied to the skin. However, the capsaicin then sends signals to the body’s pain receptors to release the pain. Because capsaicin is such a powerful stimulant, it is also very effective in treating hair loss. Studies done by Nagoya City University in Japan have shown that patients with alopecia responded very well to cayenne pepper treatments. This is because capsaicin activates certain receptors beneath the skin that product peptides that increase the production of insulin-like growth factor I. This is a very important component in the body’s creation of hair, so over time, patients who use cayenne pepper treatments will see an increase in hair growth in the applied areas. There are a few different ways to use cayenne pepper to treat hair loss. 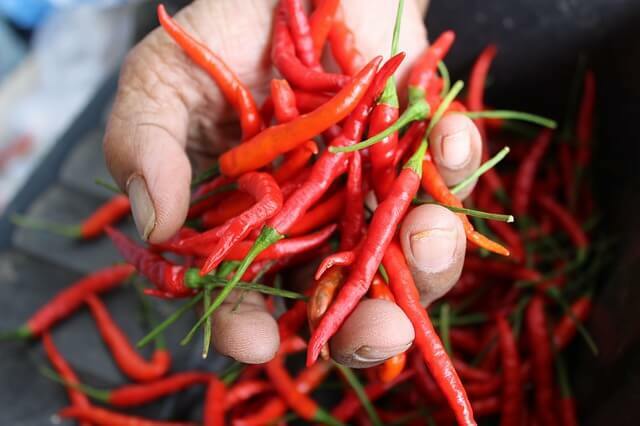 Many of these are relatively new and have not been tested by scientific research yet, so it is very important to do a small test to see how your body will react to the cayenne pepper before doing a full treatment. One of the most common ways to treat hair loss with cayenne pepper is to make your own hair mask or hair oil. This is very easy to do at home, and there are a variety of different recipes that you can use depending on the ingredients that you have, which we will discuss later in this article. There are also a few companies that do sell topical creams and moisturizers containing cayenne pepper that you can use to combat hair loss. There are also some hair supplement tablets that contain capsaicin, however, there are no treatments that are made specifically out of cayenne pepper. Many researchers and doctors also recommend taking an iron supplement while you are treating your hair loss with cayenne pepper. Iron has very positive effects on hair growth for many people, and balanced with cayenne pepper, it can create a very noticeable difference in the strength and thickness of hair. When testing any new treatment for hair growth, it is very important to be careful and to be aware of any potential side effects. Although cayenne pepper has many benefits for those who are looking to increase hair growth, it can also be harmful if not used correctly. Do a patch test of any cayenne pepper hair treatment on a small bit of skin a day or two before doing the full treatment. This will give you an idea of how your skin will react to the ingredient. Here are some of the most common side effects of using cayenne pepper topically. Skin irritation – Because cayenne pepper is a stimulant for the skin, it can sometimes cause the skin to become irritated. This is especially true if you have sensitive skin. Start with smaller quantities of your topical treatment and work up to higher doses to safely see how much your skin can handle, because everyone’s tolerance is different. Burning and inflammation – This is another common side effect of using cayenne pepper treatments. If this happens, apply a cool ice pack to the affected area. Itching – Some people may find themselves feeling itchy or dry after using a cayenne pepper treatment. If this happens to you and it does not go away fairly quickly, use a non-scented, gentle moisturizer to combat this problem. Runny nose – If you are using moderate to high doses of cayenne pepper, you may find that you experience a runny nose, irritated throat, or other allergy-like symptoms. Cut back on your use of cayenne pepper treatments until these symptoms go away, and be sure to use smaller doses in the future. You can buy cayenne pepper to use in your at-home hair growth treatments, but you will get a fresher ingredient if you grow it at home yourself. Growing cayenne pepper at home is fairly simple for most people, depending on where you live. To start, you will need potting soil, which you should put into a container and water. Let the water drain for a full day before planting. Then, you will need to plant your seeds roughly a quarter of an inch under the surface of the soil. Make sure the seeds are evenly spaced, and that they have at least an inch of room in between each other to grow. Then, place your plant under a window that gets lots of strong sunlight. The plant will fare best in weather averaging about 75 degrees Fahrenheit, so they should either be planted during the summer, or you should maintain your space at roughly this temperature. If you are interested in treating hair loss at home with cayenne pepper, there are a few common recipes that you can use. Cayenne Pepper and Honey Mask – Mix four tablespoons of honey with one tablespoon of ground cayenne pepper. Apply the mask to your hair or scalp while damp, and then wrap with cellophane and a towel. Leave the mask on for forty minutes at the most. Nourishing Cayenne Pepper Mask – Mix one tablespoon of cayenne pepper powder with one tablespoon of olive oil, 20 grams of brandy, an egg yolk, and two teaspoons of lemon juice. Let the mixture sit for half an hour before using, and then apply to scalp with your hands, and let sit for another half hour. Coconut Cayenne Oil – Blend two tablespoons ground cayenne pepper, ½ cup of coconut oil, ½ cup of olive oil, and let sit for roughly two weeks to allow the oil to mix naturally. Apply another ½ cup of olive oil, and then use before shampooing. The stimulating properties of cayenne pepper make it a very promising hair growth treatment. In particular, the presence of capsaicin and natural cannabinoid blockers make this ingredient very effective for combating hair loss. Cayenne pepper is also extremely healthy to use as part of your diet in general, and living healthily can help reduce your chances of hair loss. Cayenne Pepper in your hair? Why the heck not. Considering that it works, so what. I like the fact that you can actually wash it out verse keeping it in your hair overnight. I would so prefer that anyway? Whats your favorite method? I love stuff that can be washed out because I don’t like going about my business with a greasy head 🙂 thanks for the comment, AJ! Oh my goodness! I saw ‘cayenne’ and I immediately thought ‘what? !’ I could have never thought it would do so much good to my hair. There’s always something new to learn everyday. And lemongrass is my all time favorite scent! So I won’t mind that smell at all. I always joke around that I would love for my life to smell of lemongrass lol. Anyway I think it would be really interesting to try this out and see. Thanks for sharing! Wow, who knew a cayenne hair loss treatment makes your roots stronger, prevents hair fall, and increases hair growth? This is amazing and chalk full of great, natural ingredients. I also like that you rinse it out and not leave it in for the greasiness. Another great review on what looks to be a good hair loss product! Great article 🙂 I will try out this thank you very much for info! Interesting you learn something new everyday and now I know cayenne pepper prevents hair loss! How long would the average bottle last you? Oh, I am really glad I found this information! I have been on Medrol for several months. I recently stopped taking it and it has had devastating affects on my hair. I have literally lost about half of my hair. I did some research, and sure enough this is what Medrol can do. Now I am ready to try anything to get my hair back. I have bought Nioxin shampoo and conditioner, taking hair supplements and keeping my hair conditioned. I am definitely going to give the Cayenne Hair loss treatment. Do you know if it removes the DHT? Thanks! It’s great to learn about all the benefits Cayenne Pepper has for hair treatment. I can honestly say I have never heard about this product before but based on your detailed review I have now a pretty good idea what it’s about. I’m looking forward to using plant-based products rather than chemicals in my hair. Thanks for sharing this with us! This sounds crazy considering its a pepper but that is pretty cool. I know a girl who sheds a ton of hair? Wouldn’t this product burn your scalp? Just seems crazy to me. This is really interesting. Since having my kids my hair hasn’t been the same and it has been thinning like crazy. I’ll definitely have to try this. Thanks for the info! I have used cayenne pepper products before and they truly work! At first i was unsure if CP was the way to go, i was afraid it might caused me a rash or something worse since my skin is super sensitive, but it didn’t, au contraire, it made wonders! It’s the first time i see or hear of this botanical formula, but again i’m impressed with the ingredients it has, plus i learned in more detail about them with other of the products you have reviewed. Thank you for the awesome review! I will keep coming for more! Thanks for reading and sharing more about your previous experiences using Cayenne pepper products. I’ve done the “master cleanse” a few times, which is a cayenne pepper lemonade fast. That stuff absolutely heals intestinal issues. It’s awesome to learn it also does wonders for topical issues! Thanks for sharing your thoughts, Kasey. Pregnancy and childbirth can totally throw our hormones and hair norms out of whack, you’re not alone. If you do try this, come back and let us know how it worked out for you! Thank you for sharing your thoughts, Davona. I am a BIG fan of the mighty chili pepper in my foods, and it’s awesome to see another application that’s just as healthy. HI James, thanks so much for commenting and sharing your thoughts. “burn” might be too harsh of a word, but tingle seems just about right. I think as long as people follow the instructions and wash it out after 20 minutes, everything should be hunky doory! Thanks for the feedback on my writing style, Nadja! Thanks for sharing your thoughts and impressions, Dira! I think the answer to your question depends on how many areas are suffering from hair loss. If just a few spots, my guess is that this would last a good six months. if entire scalp, probably more like a couple months. Which is still pretty good value for a $30ish dollar product. thanks for the great question, Kourtney! Thanks for reading, and yeah, it’s curl friendly! I’m always on the lookout for products that are, since I have semi-curly hair and have been trying to cultivate it more in the definitely curly direction. Thanks for reading and sharing your thoughts! I agree 100% – anything that can be rinsed out is a WINNER~! Thanks for sharing your thoughts. I’m with you on the love of lemongrass, it’s so super tasty and smells just wonderful! Wow, this stuff is remarkable, and I love your kitchen sink analogy :-). I guess you are right, if you throw everything at it then you may just find the ingredient that works for you. That’s a long list of fantastic oils in there, and some I’d never even heard of or stock in the herbal apothecary where I work, so I’m going to look into them further. Since I’ve been following some of your advice I have really started to see an improvement in my hair growth in the last 3 months so thanks for that. I think I will add some cayenne to my usual rosemary and argan oil treatment to see if it stimulates more hair growth and then I may give this awesome product a try! Thanks for your feedback and sharing your thoughts! I’m also thrilled to hear that you’ve seen an improvement in hair growth over the last three months, my dream is a world full of successfully hairy women hahahah! I think I may also buy this one and add it to my regimen, just because it sounds like such a great product and the price point is reasonable. Come back and let us know how it works for you! Hi Matt’s Mom!! Like you, I am suffering sudden and massive medication-induced hair loss. It began a little over a month ago, and like you – lost 1/2 my hair and probably more. I am desperate, too! And devastated! I was always unsatisfied with my hair, but now I wish I could eat all those gripes and complaints. What I wouldn’t give to have my hair back. Actually, I’d be happy if it would just stop falling out! At the rate I’ve been losing it, I don’t know how there is still anything left. It’s scary. So far my arsenal includes the following: Nutrafol supplement; bone broth, collagen in my smoothies; far-infrared sauna (when able – it’s very time-consuming for me); near-infrared light to scalp; rosemary, peppermint, & lavender essential oils; and I’m awaiting my first shipment of Shapiro MD caffeine & DHT-blocking shampoo & conditioner. Now I am interested in this cayenne treatment as well as the HairMax Laser Comb. I want to implement every tool I possibly can, and I only wish I’d realized sooner that this wasn’t going to stop after just a week or just a month. Your comment is the first one I’ve seen by someone else who is dealing with medication-induced hairloss. Also, our timing is similar. I would love to keep up with each others’ progress. You might have a thyroid problem? 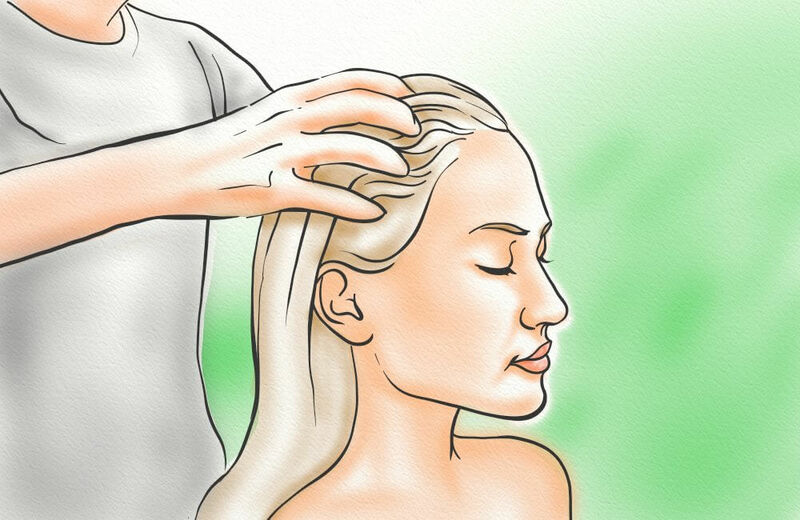 You must have a healthy thyroid to develop new hair growth. Once my thyroid health was regained my hair has begun growing ……again. The CP does help with iron etc. You must fight this internally and externally. I love the Cayenne Hair treatment so far! Just one day, but my hair tingled for hours which to me makes it feel like it is working. The smell is kind of nice actually, a cinnamon smell. I wasn’t expecting that. I will keep you posted on how it helps. Thanks for sharing your experience with the product so far!!! I tried taking cayenne pepper capsules but each time I did my stomach would start feeling weird and unsettled, like it was being highly irritated. Maybe you are supposed to take them after a meal so the pepper gets diluted down and doesn’t irritate the stomach too much. Hi Gracie, I had the same thing. Taking one after a meal will help with the discomfort. Tomato juice also helps to reduce and discomfort and starchy vegetables are also particularly good to take at the same time. Can I use fresh Cayenne Pepper instead and Oil (Jamaican Black Castor Oil and/or Almond Oil and/or Argan Oil and/or Coconut Oil etc) only, infused for 2weeks and apply daily or every other day on my edges and scalp without washing off? Probably wash hair every 1/2 weeks. Will the above method work also? Thank you. I am just trying this out for a friend. There are lots of DHT Blockers in this serum, which is one reason I’m giving it such a positive recommendation. Thank you for sharing your experience with hair loss and I’m SO sorry to hear you have medication-induced hair loss. The good news is that your hair loss is recent. This means your follicles are still alive and you can bring them back. If it had been a couple years, there would honestly be less hope. Now is the time for you to be SUPER aggressive and make sure you do a supplement, a serum, DHT Blocking shampoo, and collagen powder! Come back and let us know how your treatment is going and how your experience is with this Cayenne serum! !